Bhubaneswar, Dec 2: Development of the country will be complete only when the Eastern states, including Odisha, finds a prominent place in the growth story, according to Mr Dharmendra Pradhan, Union Minister of State (Independent Charge), for Petroleum and Natural Gas. 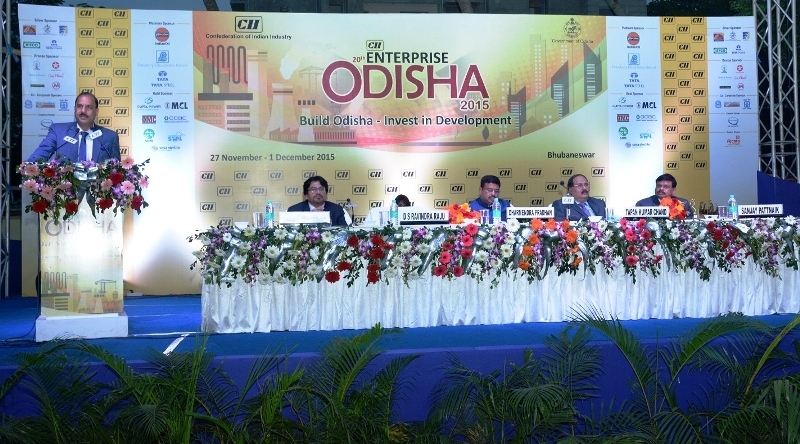 With the Eastern states home to 80% reserves of coal, iron, bauxite, a long coastline and a skilled workforce, a common strategy for growth of all five the eastern states is required for the development of the entire region, Mr Pradhan said at the Valedictory Ceremony of Enterprise Odisha 2015 here on Tuesday. According to him, stress on development of downstreams will lead to significant job generation. Mr Pradhan also spoke of Odisha’s growing reputation as an attractive investment destination, saying if Odisha organizes itself properly, it will find a prominent place in world market. According to him, the beautiful handicrafts made in Odisha can hit the global market instantaneously through e-commerce. Mr Pradhan heaped praises on CII for organizing Enterprise Odisha 2015, saying a platform like this is a huge boost for industry in the state. He also suggested that CII draw a plan of action for Odisha and share with him. Mr T K Chand, Chairman & Managing Director, NALCO, said the aluminum major which procures more than 400 crores worth of goods and services from MSMEs, will soon come out with a new MSME procurement policy which is focused on Odisha. Mr Chand also said NALCO in partnership with IDCOL plans to set up an Aluminum Park over 450 acres. Earlier in his welcome address, Mr D S R Ravindra Raju, Chairman, CII Odisha State Council, described Enterprise Odisha 2015 as a platform designed to promote the state in the industrial space. “With all major corporate houses and government institutions lending support and taking part, Enterprise Odisha has evolved into one of the biggest industrial shows in the state,” he said. “Industry in the eastern part of the country has shown great potential. There is a need to further explore opportunities in the region with special emphasis on the downstream. We believe that there is a need to strengthen the entire support structure – relating to mentoring, financing, quality standards, marketing inputs and technology acquisition for the industry of the region,” Mr Raju added. “Since Enterprise Odisha 2015 has a special focus on MSMEs, we firmly believe that MSMEs contribute significantly to the growth and development of economy and generate large number of jobs,” he said. Mr Sanjay Pattnaik, Vice Chairman, CII Odisha State Council, delivered the Vote of Thanks. With all major corporate houses and government institutions lending support and taking part, Enterprise Odisha is regarded as the largest industrial shows. The Odisha Government is the partner in this initiative, the theme being “Build Odisha – Invest in Development”. More than 100 companies put up stalls over an area of approximately 10,000 square meters in the five-day event drawing more than 50,000 visitors.